A group at the Department of Immunology at OUH has developed software tools that help solving one of the biggest challenges in large-scale protein analysis, or proteomics. In an article published in prestigious Nature Methods (journal impact factor 32.1) they show that Microsoft Excel can be applied to align large datasets from multiple studies and obtain a better picture of how cells are wired. Project leader Fridtjof Lund-Johansen explains that proteomics yields so much information that researchers are losing track. The instruments yield results on thousands of proteins in every experiment. Now, we are at a stage where laboratory researchers must consult bioinformatics experts to process their results, and there is a high chance that important information is “lost in translation”. The problem was evident when the group members reviewed 90 articles published in highly ranked proteomics journals in the period of 2012-2014. While all articles were on the same subject, the authors had used very different methods, and new results were never compared to those already published. When the OUS group aligned results from eleven of the studies, they found that many authors had drawn the wrong conclusions because they had not seen their results in the context of data from others. With the new tools developed by the OUS researchers, data analysis is a matter of copy, paste and click. Now everyone in this field can easily compare their results, and this is a big step in the direction of better standardization and reproducibility. 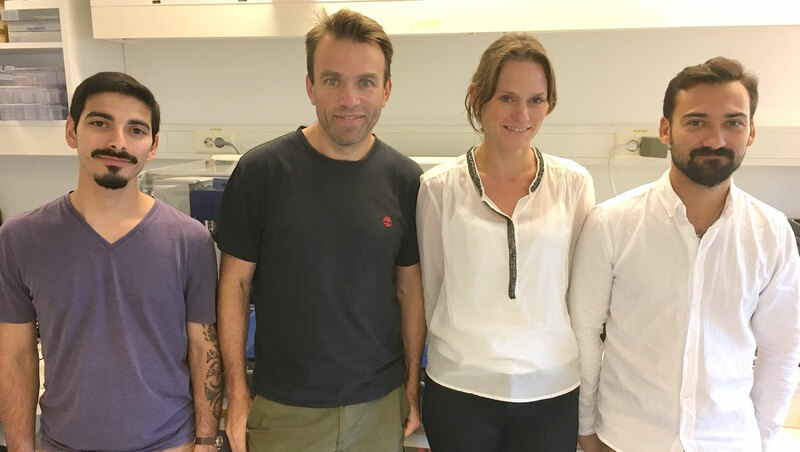 The group is part of the KG Jebsen Center for Cancer Immunotherapy (JCIT), and their next goal is to simplify the laboratory work in proteomics. The proteomics instruments we use today have much in common with mainframe computers, says Lund-Johansen. They are extremely expensive, located in specially built rooms and operated by highly trained experts. We are now building technology that is more comparable to PCs. The goal is that all researchers will study thousands of proteins in their everyday experiments. When that happens, there will be a revolution in cell biology research, and we can all work more effectively to learn what goes wrong in diseases such as cancer. It will take several years before we get there, but it is encouraging to see that journals such as Nature and the Scientist writes about this work even before we have published. From left: Adi Mehta, Fridtjof Lund-Johansen, Marit Inngjerdingen and Krzysztof Sikorski. Baker, M. Antibody anarchy: A call to order. Nature 527, 545-551 (2015). Baker, M. Blame it on the antibodies. Nature 521, 274-276 (2015).